Best thing about the cold weather, if any? It’s got to be the clothes & styles we can play around with, and the most important staple for winter is The Coat. 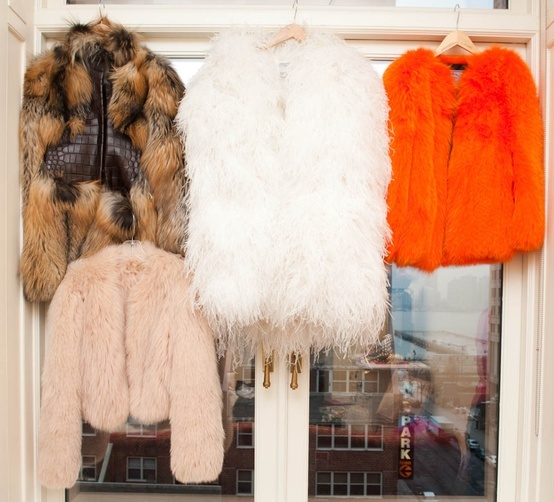 For 2013 cold season the coat styles and looks are all about one thing: no rules! I love that. 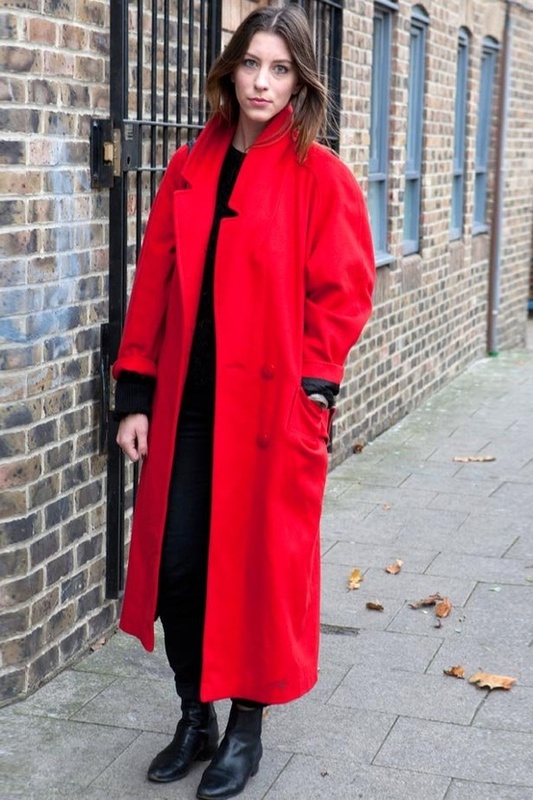 From fur to leather, from bright reds to darks or neutrals, from simple to eccentric, from oversized to slim cut, long to short, clean or patterned – the coat styles are wild and free in 2013 winter. With one thing in mind there’s nothing in our way to looking fabulous while staying warm and comfy – Style up Ladies! (that’s the only rule). A coat with a perfect pair of boots and a cool bag will make any one of us walk to work as if we’re rocking a catwalk. And while you’re at it, throw in a thick wool scarf, gloves and maybe a hat or beanie and you are the picture perfect of winter style. A big thing this cold season is the oversized coat, with large shoulders and one button, right above the knee length, usually in neutrals. Though this androgynous look is a far cry from what I love, I have to admit it’s a style that’s making quite a statement lately and it does look pretty cool with ankle heeled boots, skinny jeans or trousers and a loose top. I’d go for super elegant chic office blouse with a statement necklace, to balance the masculine feel, or, on a more comfy laid back note, for a denim shirt or an uber sophisticated jumper. 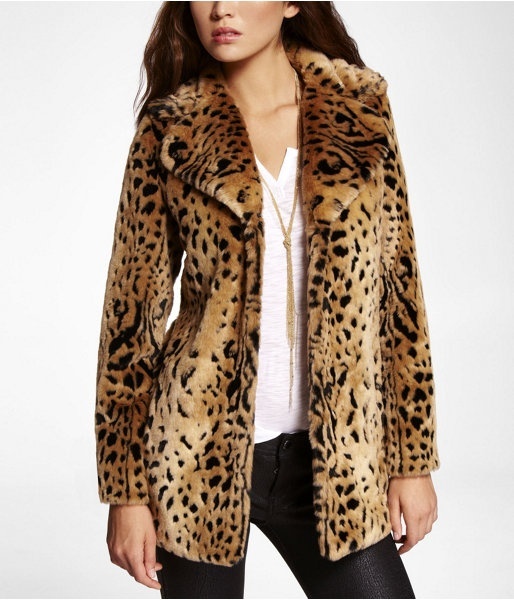 For a couple of years now the fur coats and leopard printed ones have been making their stylish waves in fashion. And yes I do confess I love them so very much. They can make any look and outfit seem chic & sophisticated, rich and glam while being urban and unpretentious. My favorite look – all back outfit, lots or jewelry/accessories and a fur or leopard printed coat over. Nothing in my book beats that. It’s edgy and modern yet quite retro & classic. For office hours wear heeled ankle boots, Chelsea boots, or even flat knee-high & over the knee boots. For evening, going out or more adventurous styles go for heels, studs, black tights, dresses, skirts – the sky is the limit. Leopard prints look fantastic with black & white, and if you feel like adding a color stick to just one, as to not over-crowd the look: red, blue, green, pink. Nothing beats classic, you know what they say. A style that has always been around (coat wise) is the classic knee-length, belted, brown coat that was a huge hit back in the ’70’s. It gives a retro modern vibe to your style and it looks stunning with heeled pumps or court shoes and trousers. 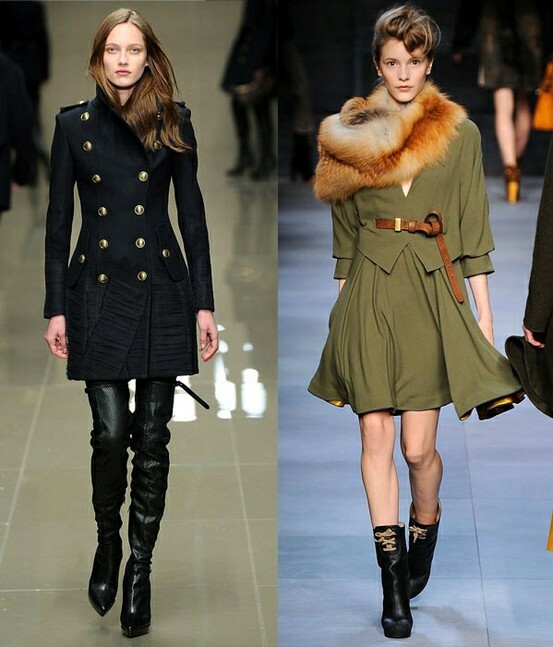 Another personal favorite fashion wise /coat styles is the black military coat which is a huge hit this season and if you ask me, will keep on living a long fashion life as it can be styled to look rock glam/punk with studded boots and jeans or super glamorous with heels, trousers and silky tops or dresses in millions of styles. 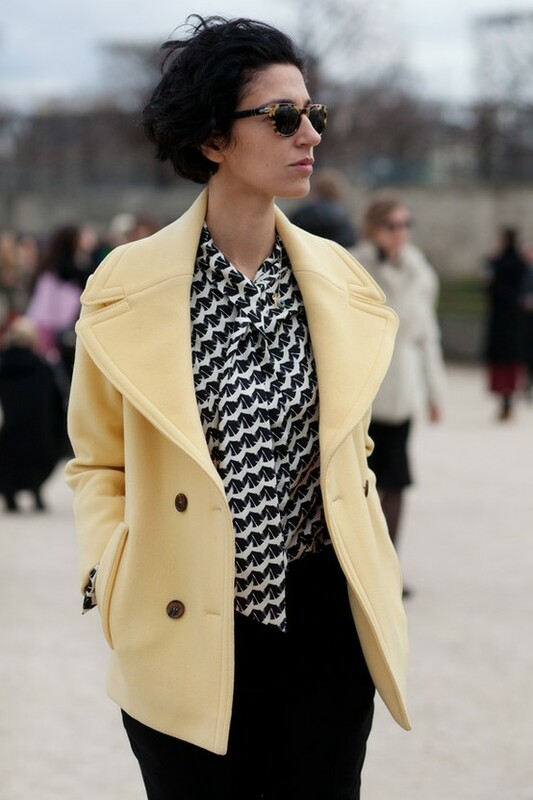 Coat styles for winter 2013 are limitless and the funkier they look the better they will ft you this season. So with no rules in mind and no restrictions I’d say when you go shopping for your coat this season, if you’re feeling quite adventurous or want to add some groove to your wardrobe, go for over-the-top pieces, for coats with leather insertions or funky textures. Keep one thing classic and one edgy, so if you choose a knee-length belted coat go wild on textures, colors or prints. It can have leather sleeves, shiny textures, leopard prints… Best part about wearing a statement coat? You can keep the rest of your outfit simple and classic. For a sip of inspiration who better to tip us on this winter style crush than celebrities like Kate Moss (for more on her style click here) and Blake Lively. These 2 have sure got it all figured out coat wise. Kate Moss is all fur, leopard printed coats, oversize, funky, sometimes classic and Blake keeps is so classic and glamorous with her neutral shade coats in long styles, sometimes opting for chic textures to get the sophisticated look. I mean both ladies come from 2 cold cities in winter: London and New York so no surprise there. Alexa Chung is another style icon to keep your eyes on, Angelina Jolie is the one to hunt down fashion wise if you’re the classic type. Natalie Portman & Katie Holmes too go for that classic coat style in brown, while Rihanna (for more on her style click here) stays urban chic in fer fur trimmed winter parka (for more on parka coat styles click here). 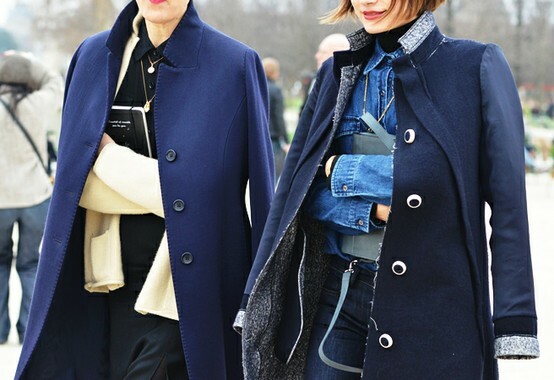 So with this heaven of coats and no fashion restriction zone, which style ladies is right down your street? Are you letting your funky eccentric persona catch the spotlight this winter or are you going for safer, classic looks that never fade out with time? Whatever the case make sure you keep if sophisticated and cool with skinny trousers/jeans/leggings, statement tops & bags and those ankle boots heels we so love this season. How Do You Like Your TRENCH COAT? FashionTag https://thefashiontag.com/wp-content/uploads/2018/02/logo-4.png FashionTag2012-11-19 11:30:162012-11-19 11:30:16Coat Styles For Winter 2013! What To Wear? sure, just let me know which one, and I’ll try to find one for you. I can’t stop buying jackets. There is such a good variety of styles and classics that can take you through multiple seasons. Really love the collection you showed here. Amazing collection. Loved all of them. thank u so much :) glad u enjoyed it! I love this page…just wondering, what brand is the 6th/7th coat down? The girl wearing the stripey top and beanie and the girl with the hat on? I am in love with this coat and must know! thank you. I sooo love coats as well! best outwear ever! thanks:) so glad u liked it! Ahhh, coat and amazing women overload! In the best possible way. I think that I will always gravitate to a black militaryish coat but halfway down your post is an AMAZING pink fur….love it! Fantastic images of a stylish array of coats!! !